Whether you’re studying via online, on campus, or a distance learning program, the courses you take play an important role in shaping your future career. Higher education courses are offered with various durations, ranging from just a few days of learning up to several months. Air traffic control courses may be specific to a certain field, but the knowledge you get from them is immeasurable. With an average annual salary of more than $100,000, some might be wondering what exactly a course in air traffic control is. 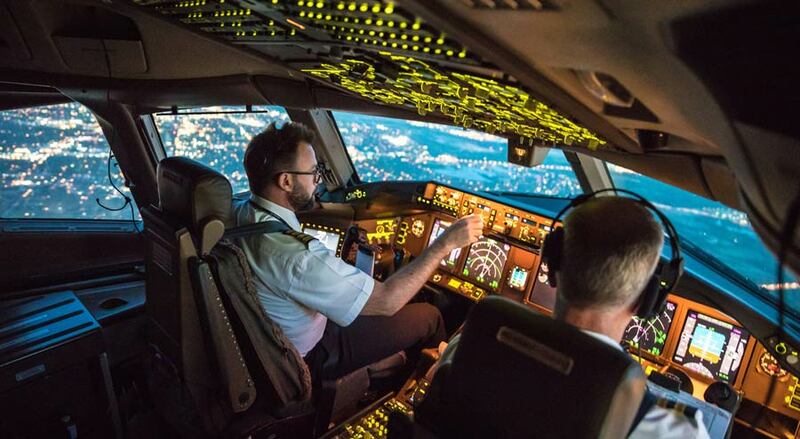 Essentially, these courses are made to provide students with the basic building blocks of arranging safe and efficient patterns for air traffic. The subjects taught in these courses usually include meteorology, aviation regulations and law, aircraft types, basics of navigation, and communications. If you’re studying abroad, you might also be required to take English classes for aviation purposes. Air traffic control courses cover the knowledge and numerous skills an air traffic controller needs to succeed in her or her duties. Whatever you obtain can be used to make you a more desirable candidate when searching for a job, in addition to helping you adhere to safety and efficiency policies that the company and government put in place. Aspiring pilots or any other aviation professional might find value in these subjects since they provide a more comprehensive understanding of what the air traffic control process is and how it works. The amount needed to enroll and study air traffic control depends entirely on a number of different factors, including the geographical location of the school and the requirements of each individual study program. Potential students should do the proper research to find the right program and school for them that both help build a future career and fits within their budget. Clearly, most students who enroll in air traffic control courses aspire to become air traffic controllers, but the subjects taught in these programs offer knowledge that pilots, flight planners, and even flight instructors can find valuable. If you’re thinking about enrolling to obtain an air traffic controller degree, then you should begin your search for the best-suited school for you. The following shows some of the best air traffic controller degree programs and schools ranked for 2018. The esteemed university’s air traffic control program offers a two-year and a four-year option for aspiring air traffic controllers. What you can learn in their four-year program include interesting subjects such as ATC Tower Operations, Fundamentals of Airspace Systems Operations, and Air Traffic Radar Systems. However, it’s the two-year program that attracts most of the department’s students. It is designed to give students the proper knowledge and skills needed to continue their training at the FAA (Federal Aviation Administration) Academy in Oklahoma. Graduates are able to bypass the Air Traffic Basics Course when seeking employment with the FAA. The school also offers other programs and courses related to the field, such as Air Traffic Management, Aviation Management, and Aeronautical Science. The Aviation and Transportation Department at Lewis University is only one of 36 bodies approved by the Accredited Training Center (ATC) to offer courses on air traffic control and management. The university was recently awarded a Loening Trophy for its outstanding all-around aviation program at the collegiate level. Lewis University’s Air Traffic Control Management is a four-year program designed to give students the right theoretical and practical training to prepare them for a bright future working for the FAA. Enrollment into this university is competitive, and the standards to get in are rather high, but with a median wage of $122,000 from its graduates, this school is certainly promising. The Aviation and Transportation Department at this revered college does not just offer of air traffic control training but also management, technology, business, and liberal arts. One of the most respectable sources of knowledge in the field of air traffic control is taught in the Department of Aviation at Hampton University. The department offers two programs to possible candidates: a B.S. in Aviation Management (Air Traffic Control) and an online program to obtain an associate degree in Aviation. Both of these programs prepare students to begin promising careers as tower controllers, terminal radar controllers, and ground controllers. Those who graduate with a B.S. in Aviation Management will be fully prepared to seek employment with the FAA. Similar to graduates from LeTourneau University, any graduate from the Department of Aviation with a B.S. degree will be fully qualified for placement in Initial Training by bypassing the otherwise required Air Traffic Basics course. Another highly regarded school for studying air traffic control is at the Embry-Riddle Aeronautical University. The air management traffic program teaches students using three labs with state of the art facilities that emulate control tower domains, terminal radar, and En Route. The labs give students the opportunity to enhance air traffic control skills by introducing all sorts of radars and environments prescribed in FAAH. This program aims to build the basic blocks required for entry into the FAA Academy where many of their graduates earn the highest honors. Students will study with a combination of both expert faculty with tremendous experience and technology that teaches how to overcome the largest problems aviation is currently facing, such as record passenger growth, flight delays, aging aircraft, and the list goes on. Graduates of this program will be equipped with both theoretical and practical knowledge required to succeed as air traffic controllers with flying colors. Green River Aviation is only one out of 36 schools chosen by the FAA to conduct the Collegiate Training Initiative (CTI) program. Green River College’s Aviation Technology program is designed to give students first-hand knowledge about what it takes to succeed as an air traffic controller. Their unique curriculum combined with experienced faculty members is sure to give students an advantage in the job market. Their FAA-approved program utilizes the latest technology to prepare students with knowledge regarding air transportation, aviation weather, and air traffic control.